The NGK range of resistor covers are designed to give perfect noise suppression across all frequencies whilst engine performance is not adversely affected whatsoever. Some caps are none resistor such as the LZFH & LBER. 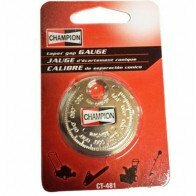 Ideal for magnetos ignition etc. 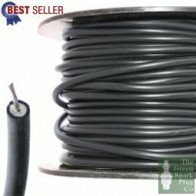 Featuring a resistor element pressed in between the plug terminal and the high tension wire connection, the construction is extremely durable, the resistor element is long enough to prevent interior flashover, and steady resistance is maintained. 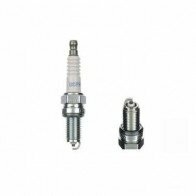 Superlative ceramic materials are incorporated that resist deterioration and have small resistance variation under over-load, whilst the plug connector is made of sturdy phenolic resin, practically oblivious to tremendous heat and high tension, and very rugged rubber material. The heat press insertion makes the construction all the more tough and vibration-resistance. 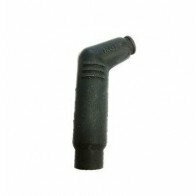 Special rubber liners on both ends prevent moisture from causing electrical leakage. All motorcycle manufacturers now comply with current legislation which demands a standard of noise suppression on every vehicle. 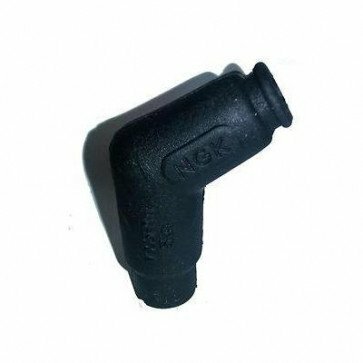 This is achieved usually by fitting NGK resistor covers though in many cases a combination of NGK resistor covers and NGK resistor spark plugs (R type) is necessary to satisfy the ministry tests. 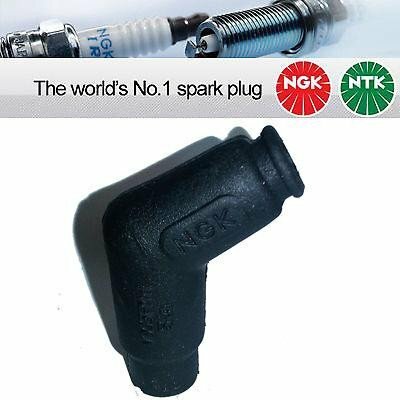 It is emphasized that despite the use of both resistor covers and spark plugs in such engines, due to the unique and superior construction of NGK products there is no loss of performance or shortening of service life. LB05EMH and SD05FM being of tough EDPM rubber construction are intended for competition/trial applications.